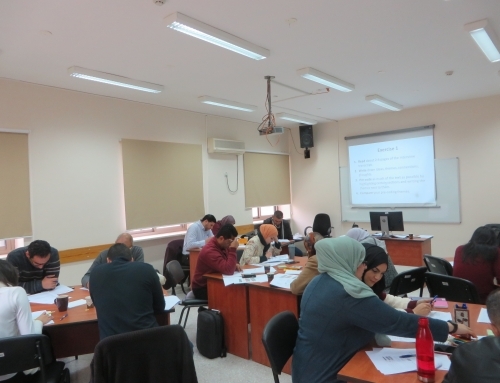 From 21 – 23 March 2019, the Knowledge to Policy (K2P) Centre at the American University of Beirut in Lebanon facilitated a workshop on “Strengthening the translation of knowledge into policy and practice: Policy analysis, stakeholder engagement, and capacity-building”. 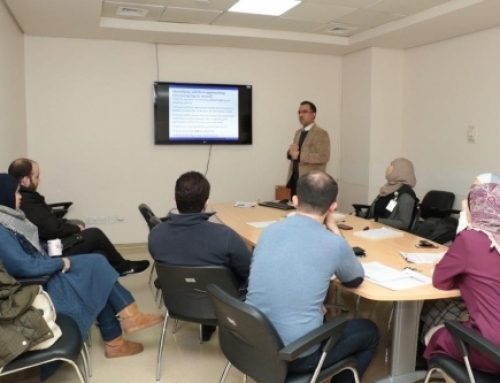 The workshop was facilitated in conjunction with the GCRF funded RECAP (Research Capacity Strengthening and Knowledge generation to support preparedness and response to humanitarian crises and epidemics) and Research for Health in Conflict in the Middle East and North Africa (R4HC-MENA) programmes. 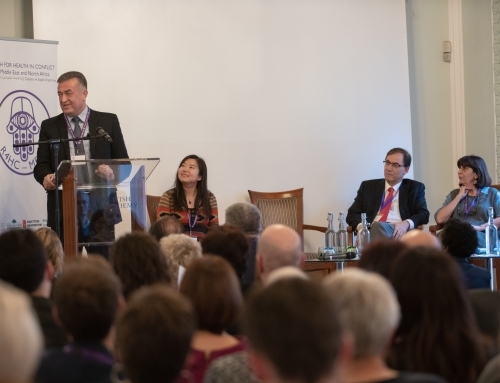 The workshop was aimed at promoting the use of evidence in policymaking with a focus on humanitarian settings. 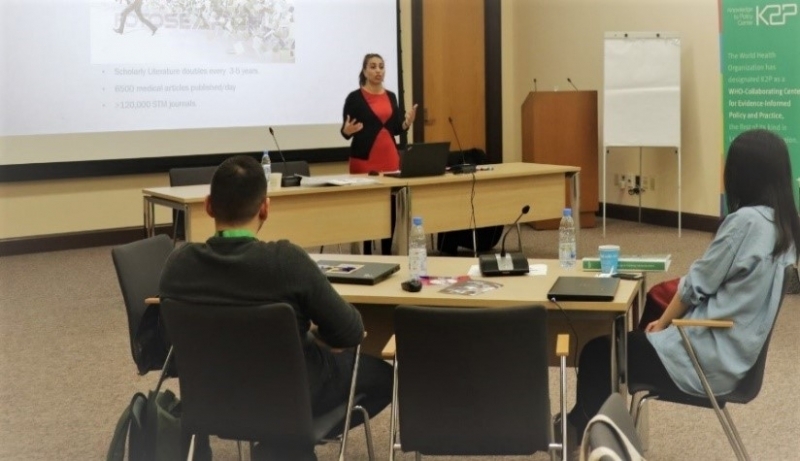 Shaymaa AlWaheidi, a PhD student and R4HC-MENA affiliate from the occupied Palestinian territory, who is currently studying under the supervision of Dr Elizabeth Davies and Professor Richard Sullivan at the School of Cancer and Pharmaceutical Sciences, participated in the three-day workshop. 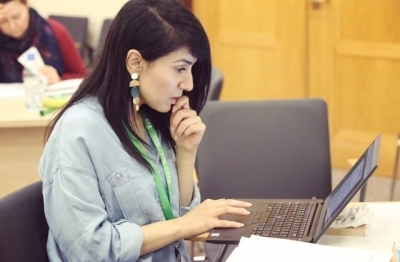 Shaymaa worked in a small group to help her search for relevant research evidence for her PhD research project on breast cancer in Gaza. 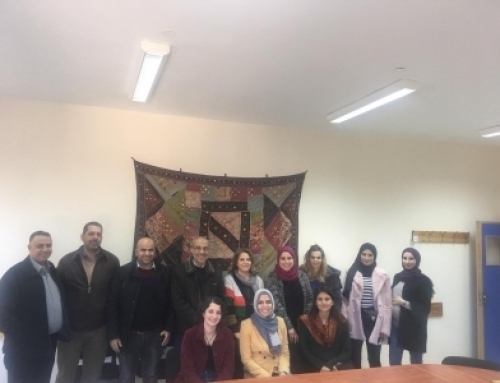 The group discussed the potential role of the media, and strategies for media engagement, and also how to prepare policy briefs so as to influence policy agenda and action taken to address the problem of low survival rates among women with breast cancer in Gaza.